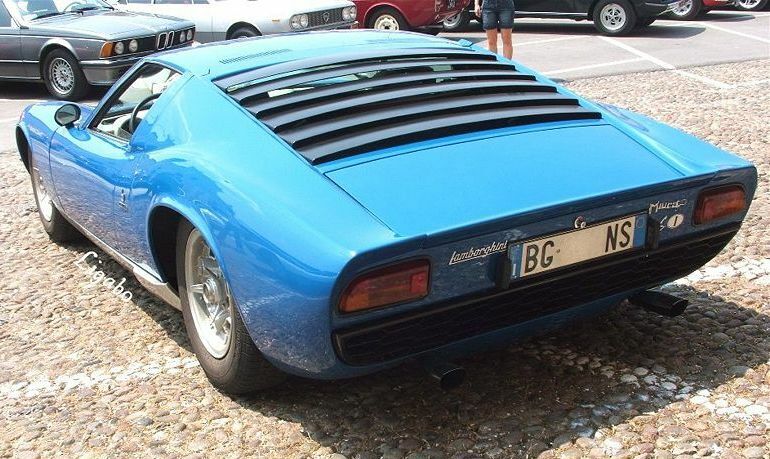 Additional Info: Power varied from 325-400bhp. 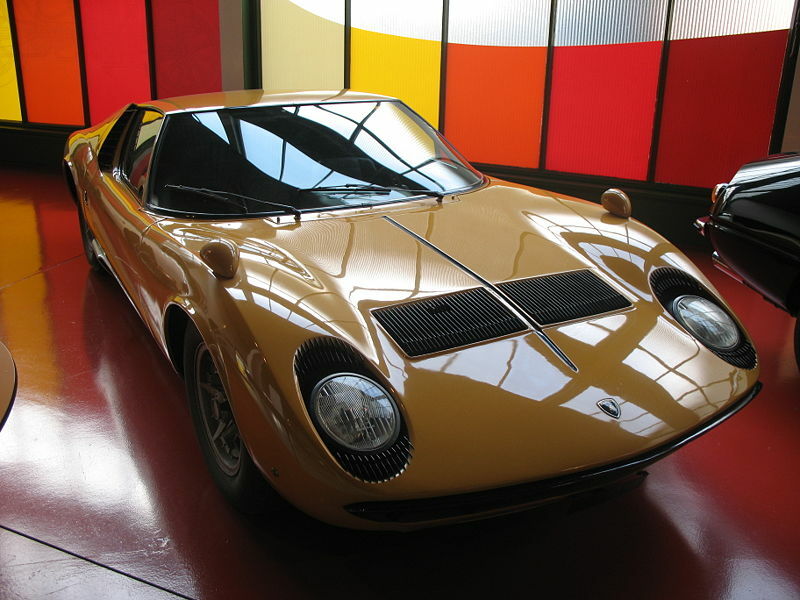 Correct spelling by the way is Miura and not Muira as many others seem to have on their sites. 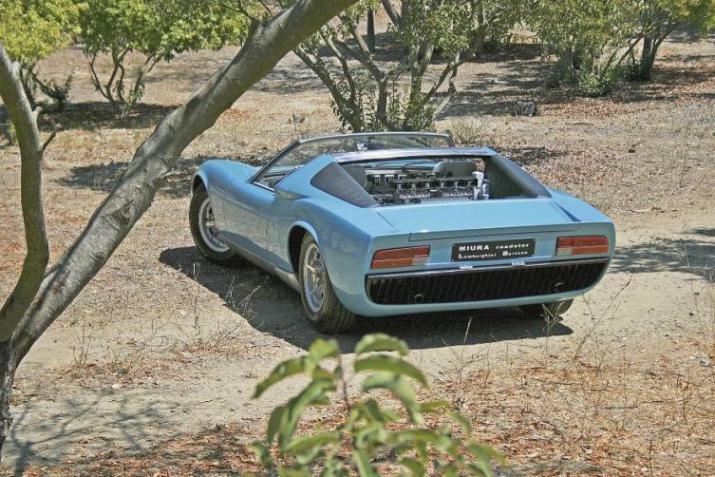 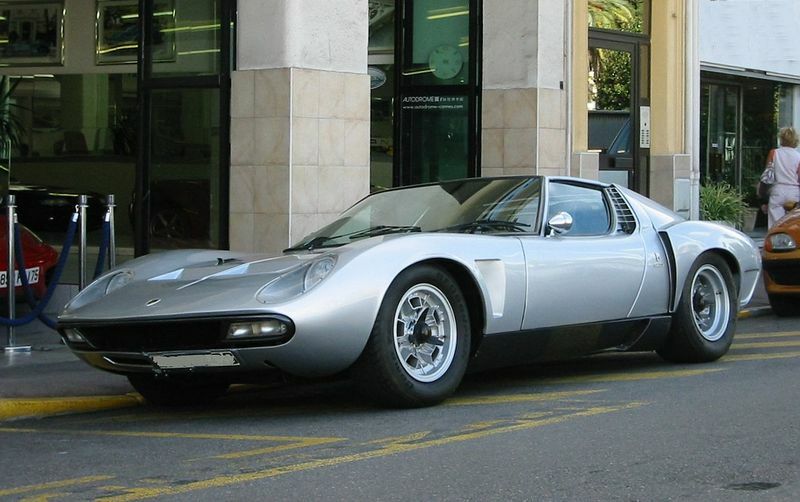 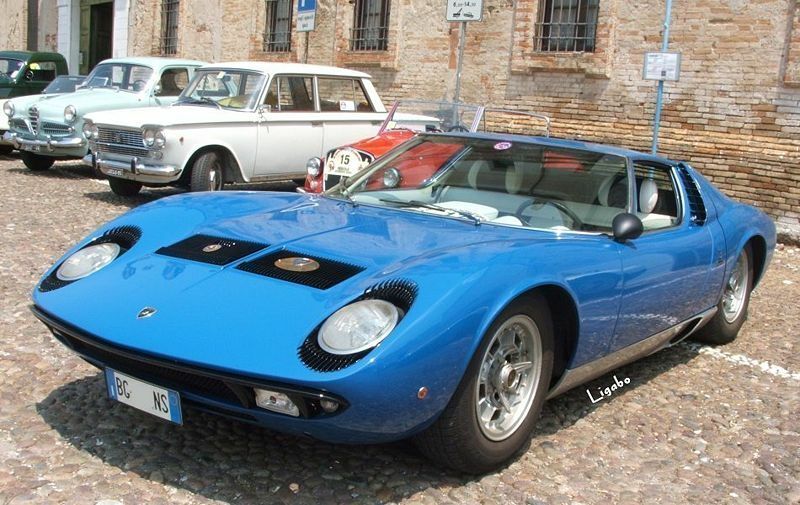 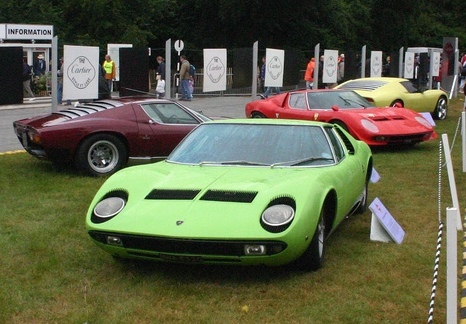 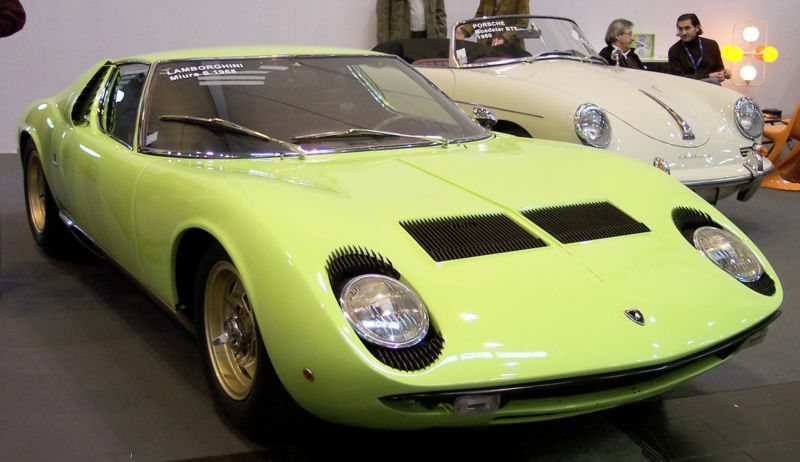 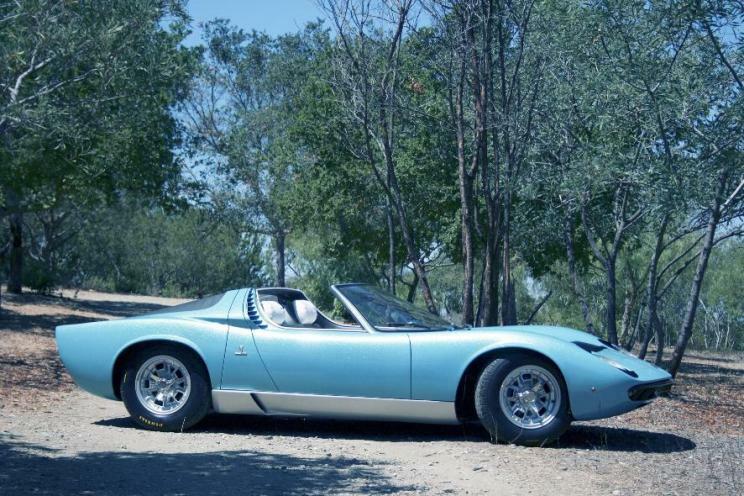 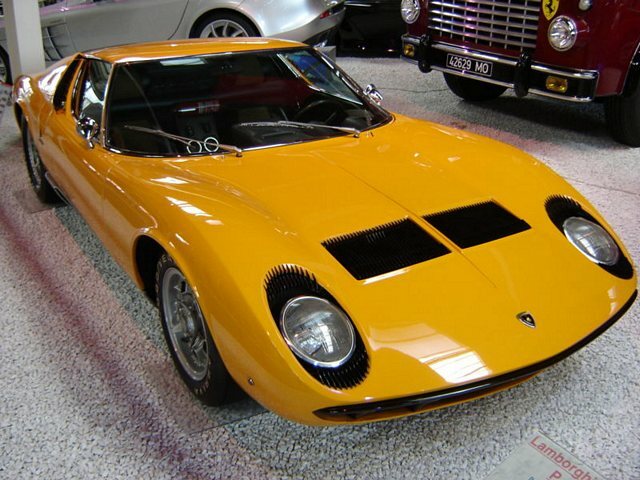 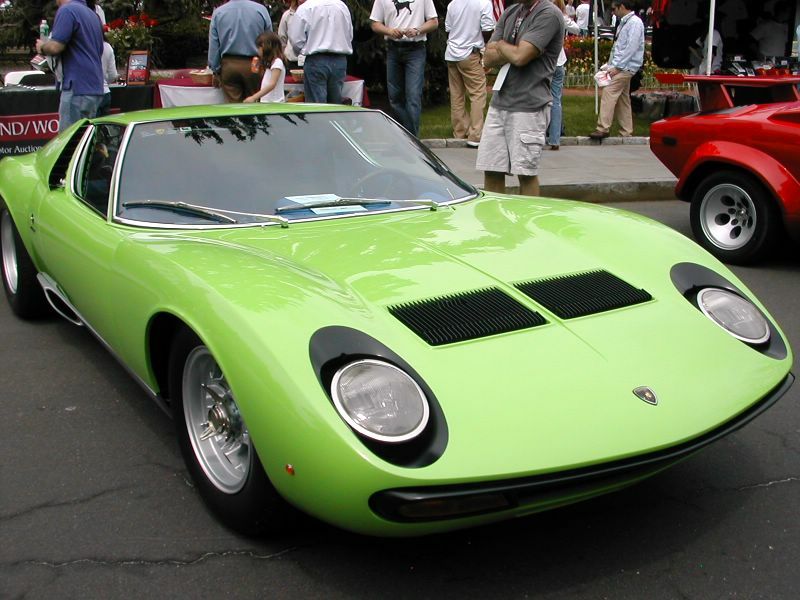 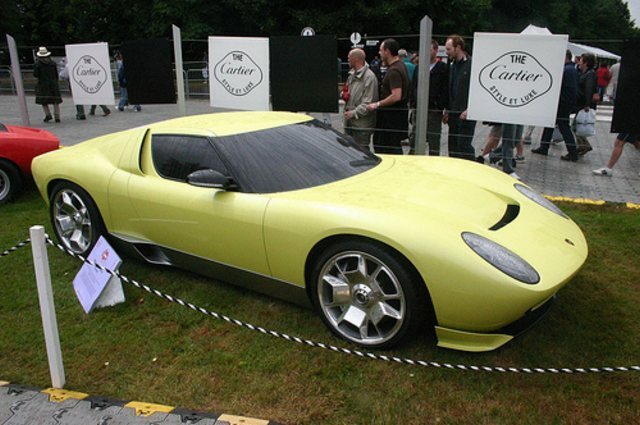 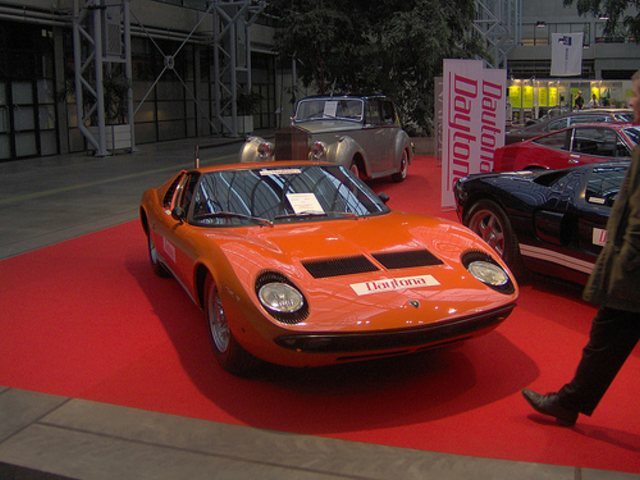 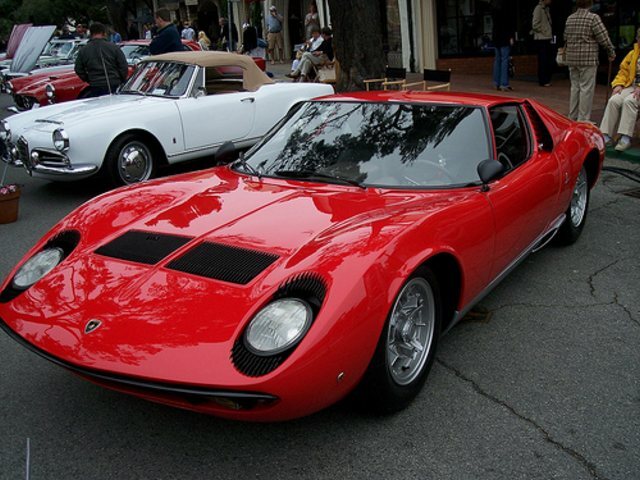 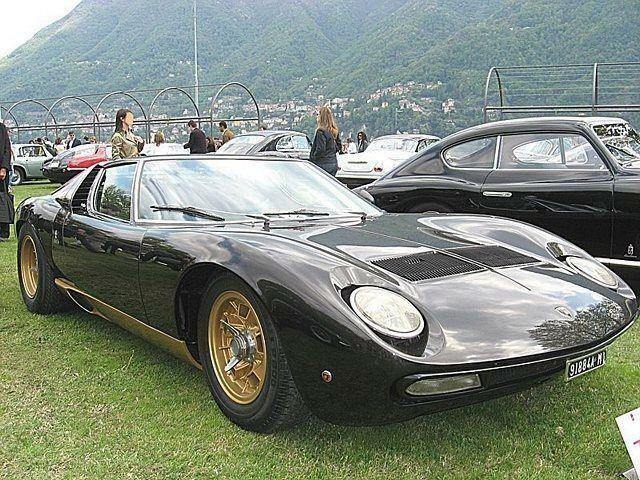 A one-off Spyder created by Niccio Bertone was built in 1967/68 (see light blue Miura above). 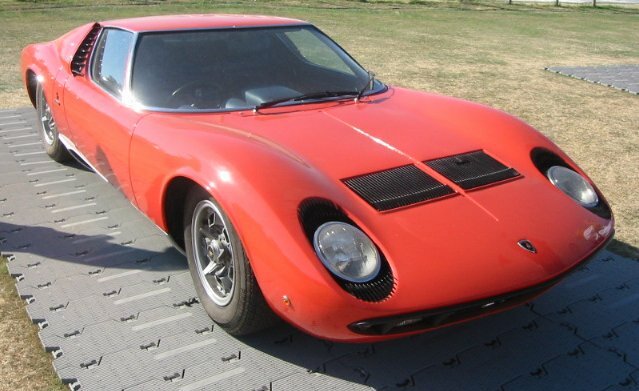 Additional Info: Apparently similar performance to the P400 above according to all the data I can find? 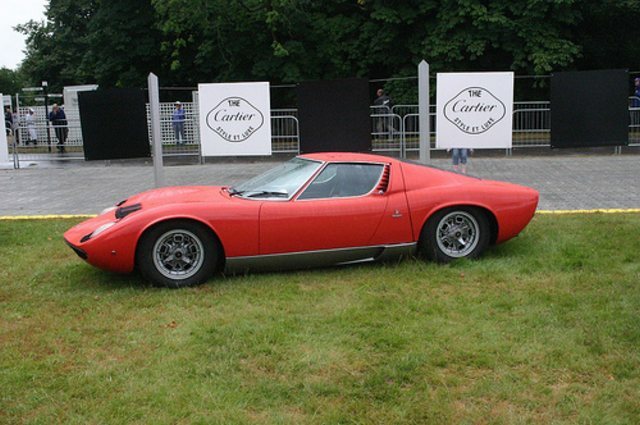 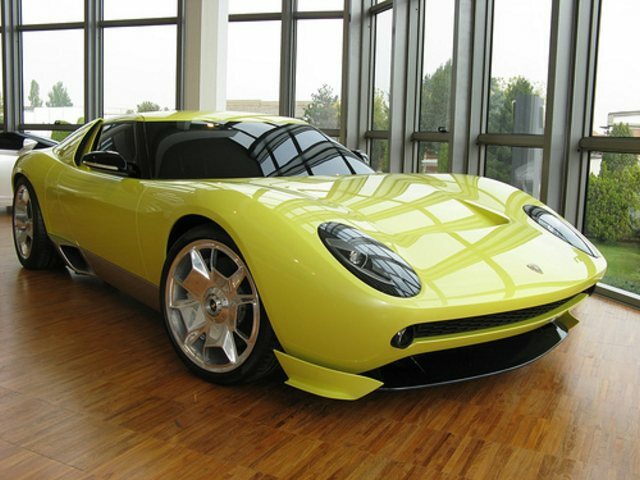 Except a mention in the Guiness World Car Record Book of a 430bhp version with 0-60 in 5.5 secs. 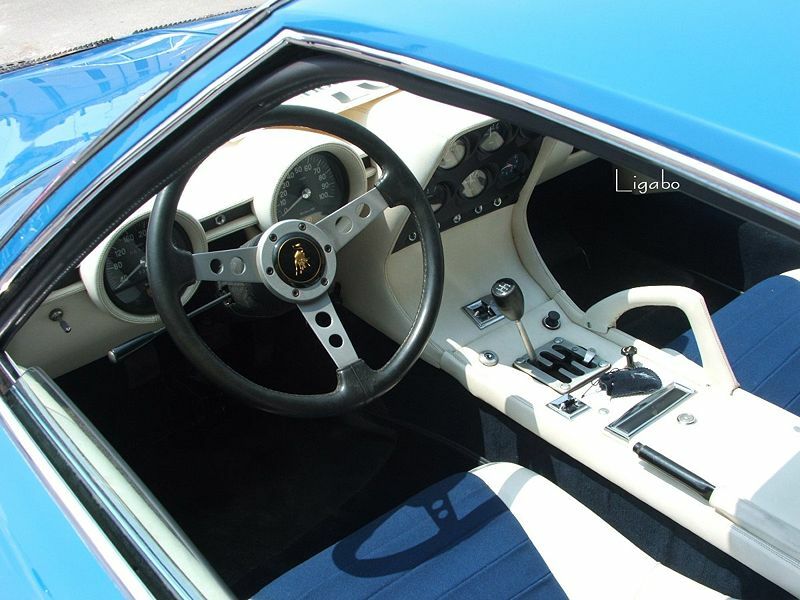 Additional Info: An SVJ Spider (see last pic in the main gallery at the top above) was shown at the 1981 Geneva Motor Show – note the addition of the vents/intakes on the front and rear wing panels.